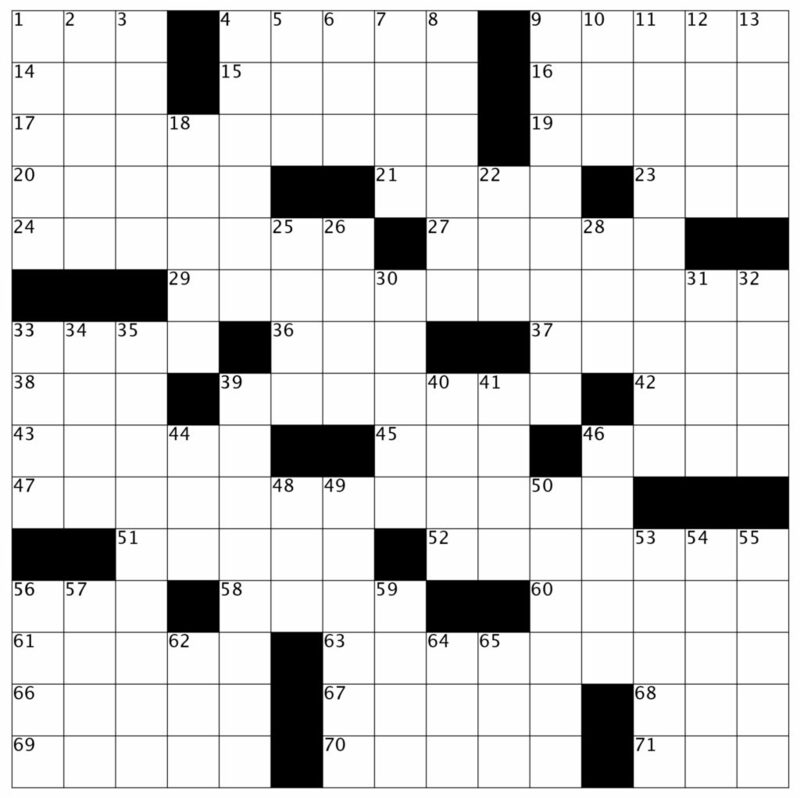 Crossword Puzzle: Issue 64 - February 2019 - "That's Debatable"
17 Choice between treating an injury by wrapping it or applying ointment? 29 Choice between dispensing cash systematically or making it rain? 47 Choice between studying gales or units of speed? 56 Skill of an E.M.T. 63 Choice between fixing up one’s hair or getting a manicure?